Natural Hair Thickening & Growing Potion! I’ve had various periods of time where my hair has shed in handfuls. Anemia, illness, stress, even pulling out knots and overstyling… it can all take a toll on your scalp. I’ve tried everything from hundreds of dollars in supplements desiged for hair to elaborate herbal potions bottled in France to get my hair back to it’s glory and grow it faster with mixed success. While a balanced diet, sleep, and correcting imbalances in nutrients are all vital, the one thing that’s worked wonder to rejuvenate my scalp and truly grow hair fast (lightnening fast) is castor oil. This simple oil mix can be an amazing boost to your hair. The You Tube videos, testominials on message boards and my own personal experience is all affirmative: this is awesome stuff! Today’s natural potion can help you to revitalize your hair in an almost magical way. Stress (and diet, illness, over-processing or styling) can wreak havoc on hair. A simple mix of oils left overnight on your scalp a few days a week can rejuvenate your hair! 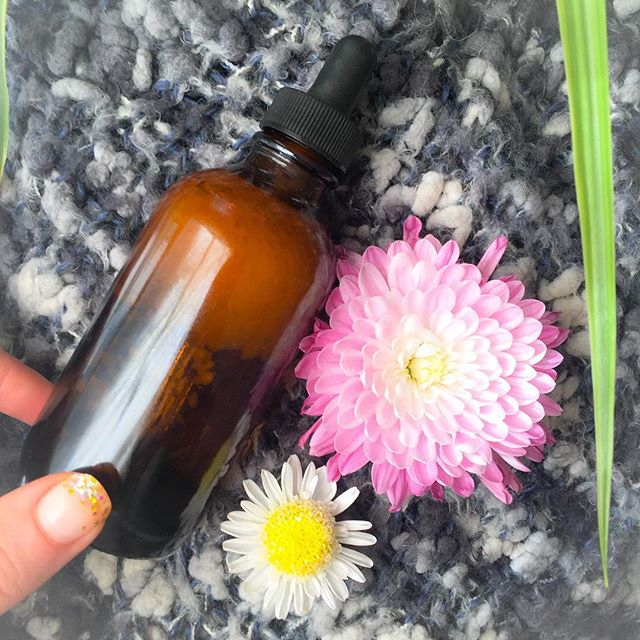 Supercharge every strand of hair with a simple oil for your hair that’s been proven (by me and a zillion other people who have tested it all over the place) to work like magic. Hair grows up to 3x longer and also thicker and fuller. I’ve sprouted fresh hairs all over the place in rapid fire every time I’ve felt my hair go limp and thin. If you want to keep this for a while, put it in a dark bottle with a dropper. Shake well and add small drops dotted over your scalp, parting hair as you go. Now massage for a few minutes and leave it on overnight. Before your shower, massage conditioner into your dry hair as though you were washing your hair with it. Now rinse, shampoo and condition normally. Three times a week it’s been such a rush of natural radiance for my sun dried hair and… my hair grows like crazy. If you try it, please let me know what happens! Previous post: Simple Feng Shui To Help You Through Big Life Transformations! Next post: Simple Feng Shui To Create An Irresistibly Fulfilling Lifestyle!